If you hate food waste as much as I do and also want to save yourself some money this recipe is perfect for you. 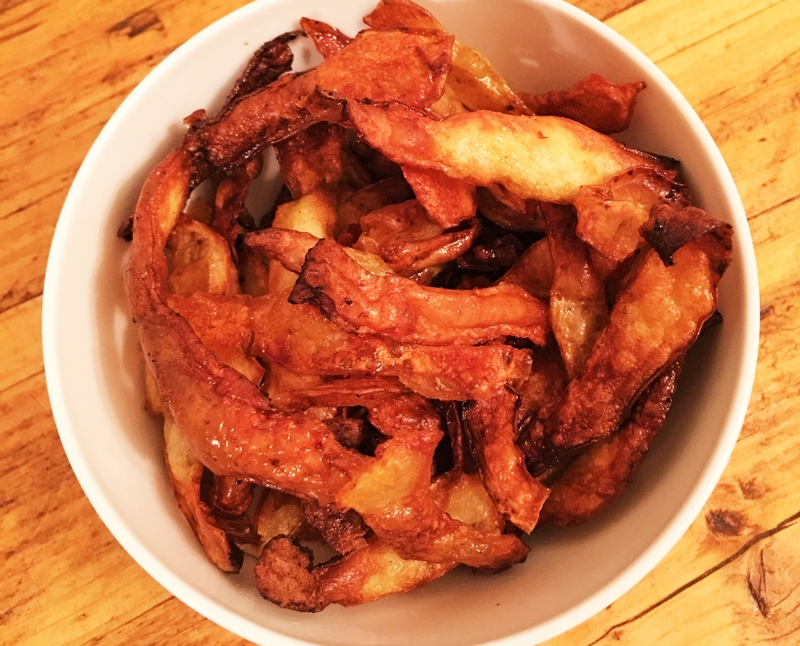 These potato skin crisps are not only super simple to make, they are using up potato peelings that you would be otherwise throwing away. The fact that most of the nutrients of a potato are found just under the skin is purely a bonus! These make a great little snack on their own or you could even serve them as a starter with salsa or any type of dip you fancy. We make ours with garlic and onion salt and smoked paprika but they are just as nice simply with salt. 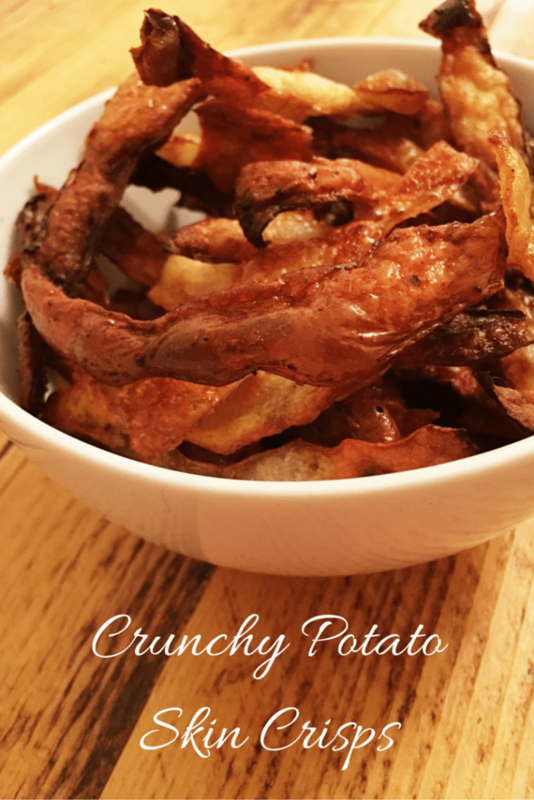 Here’s how to make these delicious potato skin crisps. Preheat your oven to around gas mark 5, 190 centigrade, 375 fahrenheit if you are already cooking something at a different temperature these will cope just fine but remember to keep an eye on them if its much hotter as they will burn quickly. Collect your potato peelings into a bowl and add the oil. Mix up with your hands until the skins are evenly coated with the oil. Add your seasoning, we add onion salt, garlic salt and smoked paprika, I can’t give you exact amounts as your quantity of potatoes will be different every time but keep in mind you don’t want to add loads, just a good shake. Remember you can always add more after they are cooked. Lay onto a baking sheet and spread out as much you can manage, don’t fret too much if they overlap but they may take a little longer to cook. Flip over and move around every 10 minutes or so to avoid burning. The potato skin crisps will be ready when when they have puffed up and are nice and crispy. For extra flavour: When they are cooked, pile into the middle of the baking tray and sprinkle with grated cheese, leave for another 5 minutes or until the cheese is melted.